A new update for Visual Studio 2017 is now available. The new build version 15.6.5, released on 4th April 2018 contains a set of bug fixes reported by customers. If you are using Visual Studio 2017, check for updates to get the new build. VS 15.6 does not respect the 'apply server settings to all users (store in project file)'. Project could not be opened because Visual C# 2017 compiler was not created. NuGet Package Manager only sees latest package versions after manually clearing cache. Visual Studio hangs during Nuget package update. Installer throws unexpected error and saved changes to Solution2.sln are not saved. C:\Windows\temp fills up with .itrace files after upgrade to 15.5.6.
vstest.console.exe fails test run with socket exception. This release includes support for Xcode 9.3. 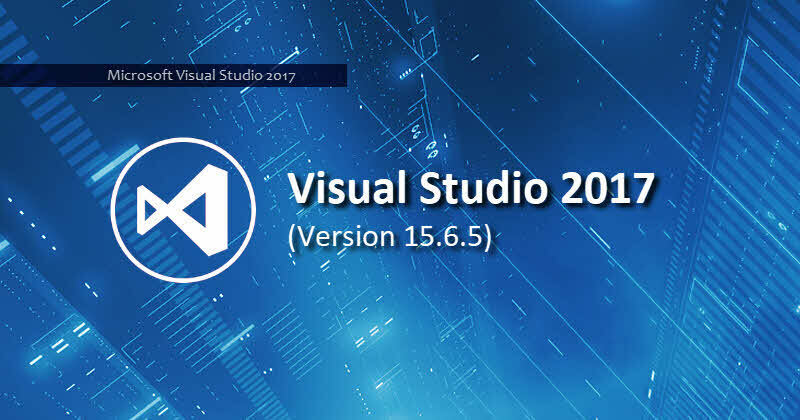 If you have come this far, it means that you liked what you are reading (Microsoft releases Visual Studio 2017 version 15.6.5).